Françoise Flament stressed that out of EUR 62 million of contracts EUR 15 million were concluded with companies located in the PACA region. There is more to Aix than fountains, sidewalk cafés, elegant 18th century townhouses and nonchalant literature students. The city is now at the heart of a new administrative division called the Greater Aix Council (Communauté du Pays d'Aix, or CPA)—a territory that federates 34 towns and villages and hosts such high-profile companies as Eurocopter and ATMEL; the largest nuclear research centre in France, Cadarache; some of the largest commercial malls in Europe; and a network of more than 30,000 businesses, both large and small. For several of these businesses, whether industry, high-tech or service-oriented, CEA-Cadarache, the ITER Project and the planned "Valley of the Energies" represent major opportunities for development. Last Thursday, some 220 managers and professionals from CPA gathered at the Château de Cadarache to participate in a "get to know each other" meeting. "We received more than 400 applications," said Lionel Minassian, the Director of CPA's Economic Development Agency. "Our entrepreneurs are really eager to work with CEA and ITER." Before embarking on a visit to the ITER work site and a tour of CEA-Cadarache installations, the participants in the meeting sat through presentations by Serge Durand, Director of CEA-Cadarache and Françoise Flament, Head of the Contracts & Procurement Division at ITER. 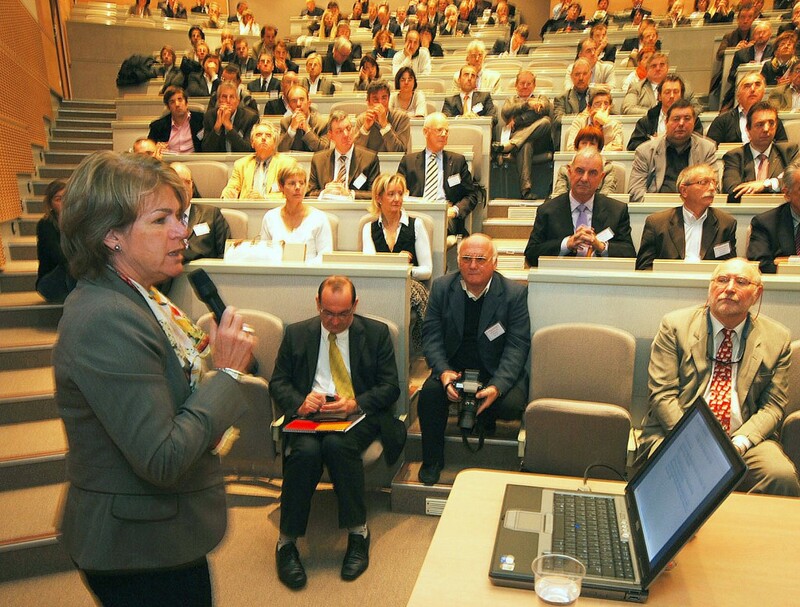 Françoise stressed that out of EUR 62 million of contracts that were committed by ITER since January 2009, EUR 15 million were concluded with companies located in the PACA region. Maryse Joissains-Masini, the Mayor of Aix and President of CPA, paid a quick visit to the meeting and reaffirmed that "one of the strategic objectives of Greater Aix is to be a partner in the development momentum that CEA and ITER are creating in the region."